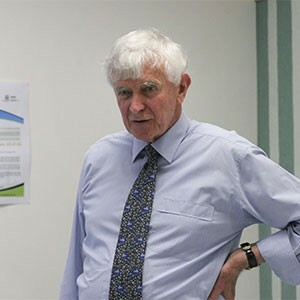 Peter has had a lifetime of experience working in education and training in a range of contexts, in Australia and overseas, as a teacher, public servant, and consultant. He has worked as a consultant since 1990. In the Australia Public Service, he held Senior Executive Service positions in the Departments of Education and Territories, and in the ACT Administration in the field of education.He was involved in this capacity in the establishment of the ACT Vocational Training Authority and the development of modern training arrangements for the Territory. As a consultant since 1990, he has undertaken some 80 consultancies, many of these in the field of vocational education and training. Most of these were undertaken for government agencies. These studies have included the implementation of competency based training, flexible delivery of training, the internationalisation of VET, and industry/education partnership strategies. He has had substantial international experience. He served as a member of the Australian Delegation to OECD in Paris for three years and has studied education and training developments in OECD countries on a number of occasions. In 1990 he was a member of an Australian government mission which examined industry training in a number of countries in Europe, North America, and Asia. He maintains a close interest in the work of international agencies such as OECD and UNESCO. Peter has a special interest in lifelong learning and in innovative strategies for learning in organisations, institutions, and in communities. He directed a major study of the implications of lifelong learning for vocational education and training in Australia, and followed up this work with a study of policies and strategies to build a learning and training culture in Sweden, Germany, Britain, the Netherlands and the United States. Both studies were undertaken for the National Centre for Vocational Education Research. Peter is interested in working with organisations and enterprises in developing innovative approaches to learning in the workplace, institutions, and in the community. This interest includes learning organisation and learning community strategies. He believes that the emerging conditions of the 21st century require a fresh look at how skill is acquired in the workplace in an environment of exponential change, and how people will maintain their employability in this environment. He is regularly invited as a keynote speaker at events and conferences. Peter was the inaugural Adult Learning Australia Visiting Scholar, is an Associate of the PASCAL (Place Management, Social Capital and Learning Regions) International Observatory, and a Board member of Hume Global Learning Village. Peter was awarded the Medal of the Order of Australia for his contribution to education.